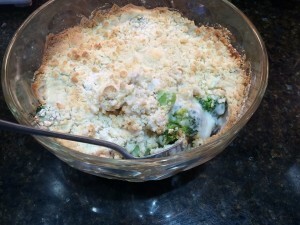 This creamy broccoli bake is one of my family’s favorites. I’ve never yet met a child who did not like this vegetable in this casserole. Oh, that’s right; I have one kid who never cared for it (the picky one, but that’s because he doesn’t like mushrooms and not because he doesn’t like the green stuff.) [Sorry, kid. I’ve tried for a quarter of a century to get you to like mushrooms.] This recipe is a sure-fire way to get any child to eat those green trees. 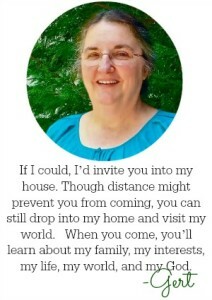 You know something else I like about it? I can get it ready the day before and pop it in the oven when it’s time to bake. But first, a confession: I have made this so often that I hardly use a recipe. I usually just dump and sprinkle and it comes out okay. This time, when I decided on a Saturday to serve it for Sunday lunch, I added the cheese before the sauce – and it turned out fine. I didn’t even think about it until I went to type up this recipe. So there you have it: you get to choose whether you add the cheese before or after the sauce! This recipe says you should cook the frozen broccoli first – but I never do. If you’re using fresh vegetables, you can blanch it if you’d like, but I don’t. 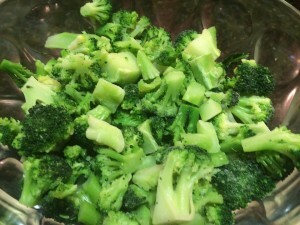 Put the broccoli in the bottom of an ungreased casserole dish or pan. 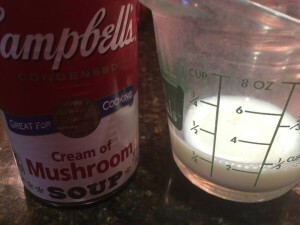 Mix your sauce, which is cream of mushroom soup with milk. It will seem thick, but as it bakes, the sauce thins. 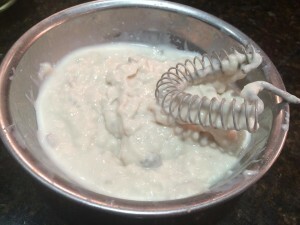 You can always add more milk if you like your sauce runny. 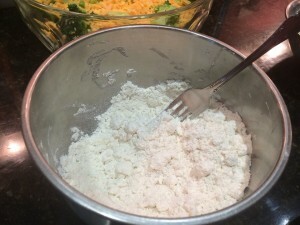 Mix your crumb topping, which is just Bisquick and butter (or you can use margarine). 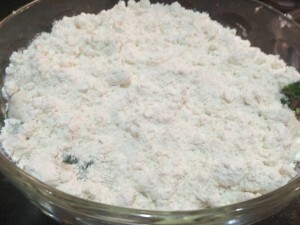 Then spread the crumbs on top of the casserole. Cover the dish, put it in the refrigerator, and forget about it until it’s time to bake. This dish bakes at 400 for 20 minutes or until done. 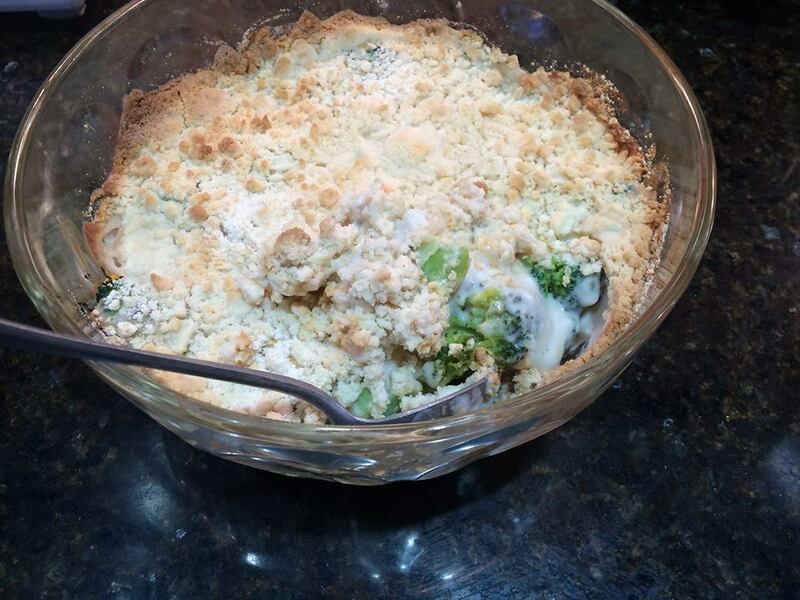 if you’re using frozen broccoli, give it time to thaw before you put it in the oven, or it will take longer to bake. 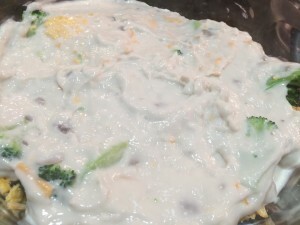 you can double or triple this recipe (which I do all the time), but I recommend using a flat pan, because the broccoli won’t bake as well in a deep dish, and the topping will be spread pretty thin until it gets to the bottom of the dish. 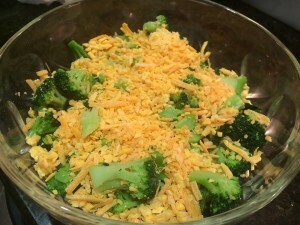 remember that the broccoli (whether fresh or frozen) will be in the oven, so it doesn’t need a lot of cooking ahead of time – unless you don’t mind mushy broccoli. 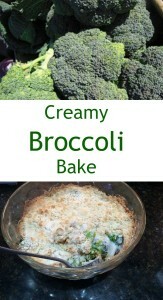 An easy - and delightful - way to serve broccoli and have everybody asking for more! 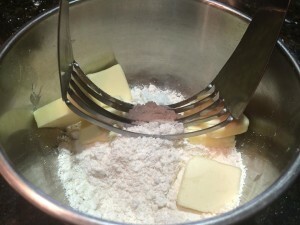 I really like this wire whisk. I use it all the time!